Fig. 985. chain of bones seen by the outside party, fig. 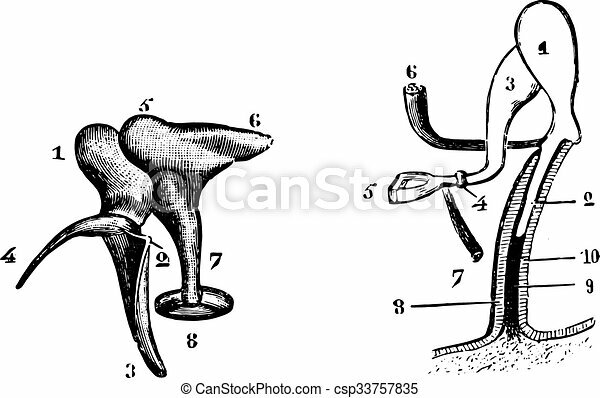 986. reports of hearing bones and inserts their muscles, vintage engraving. Fig. 985. chain of bones seen by the outside party, fig. 986. Fig. 985. Chain of bones seen by the outside party, Fig. 986. Reports of hearing bones and inserts their muscles, vintage engraved illustration. Usual Medicine Dictionary - Paul Labarthe - 1885.